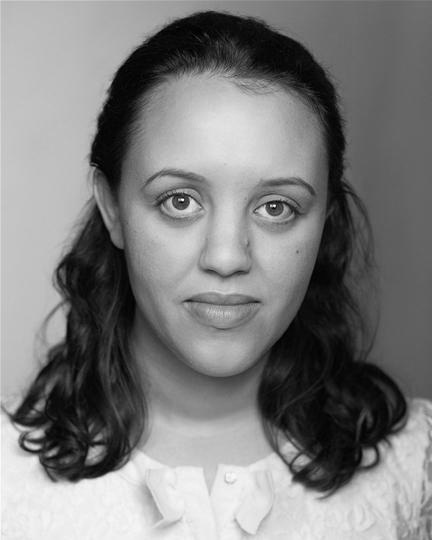 Nadia recently completed her french debut in Macbeth at the Cockpit Theatre. She graduated from Hull University with a Drama degree and trained with National Youth Theatre. She is represented by APM Associates. Theatre includes: Timon of Athens (The Factory / Willow Globe), The Scar Test (Arcola and touring), Catalina (Ovalhouse and touring), Heartbreak Hotel (The Jetty), Unsung (Wiltons Music Hall and tour), Londonee (Rich Mix Theatre), The House of Bernarda Alba (Almeida), Carnival Collectors (Art Deco, Northampton), Burst (The Zoo, Edinburgh), New Anatomies (Battersea Arts Centre), A Dickens of A Christmas (Shunt Vaults), Much Ado about Nothing (Baron's Court Theatre), Dona Rosita the Spinster (Theatre Royal Haymarket), Our Country's Good (Colchester Mercury Theatre). TV includes: The Secret World of Yarl's Wood (BBC 2), Marshal's Law (Golden Tortoise / Loaded TV, nominated for Best Sitcom 2012). Film includes: Leads and Follows, Pusher, Help From the West (nominated for Best Short Film London Independent Film Festival, American Online Film Festival). Nadia is also a professional singer and has appeared on Jazz FM radio and at venues including Ronnie Scotts, Leicester Square Theatre and The Pheasantry.